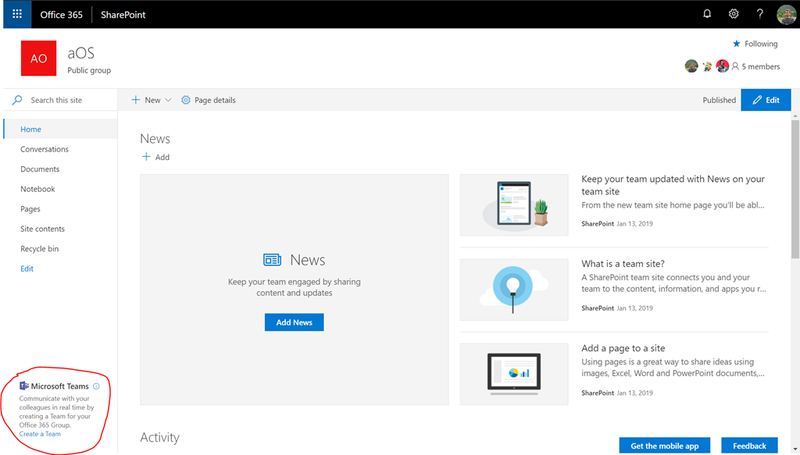 Office 365: Adding a Team to a modern SharePoint Team Site (I)! From Tams we can create a new Team from an existing Group. 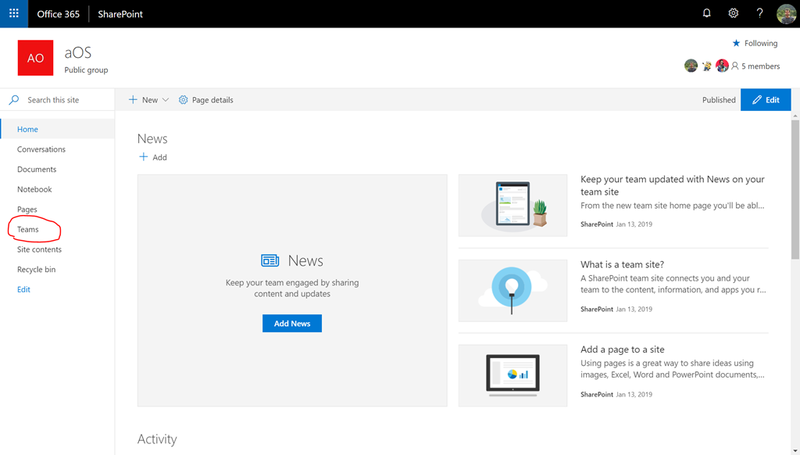 From the home page in a modern SharePoint Online (SPO) site, we can also create a new Team. In this article we will review the second approach. 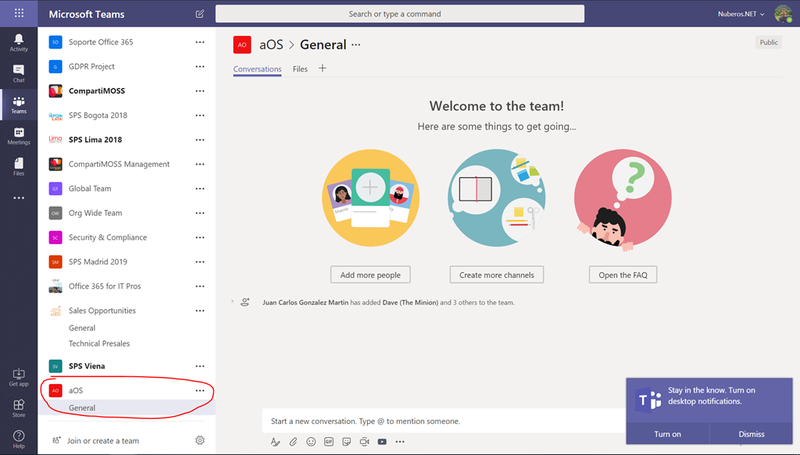 Basically, as soon as we create a new modern SPO site in our tenant, we will see a Microsoft Teams banner in the site home Page. This banner contains a short explanation about what you get when you use a Team for communication and collaboration and also a “Create a Team” link. Additionally, in the site navigation a “Team” link has been added providing a shortcut to the Team crated. Office 365: Como añadir un Team a un Sitio de Grupo Moderno (I)! Desde Teams podemos crear un nuevo Team a partir de un Grupo existente. Desde la página principal de un Sitio de Grupo Moderno podemos lanzar la creación de un Team.